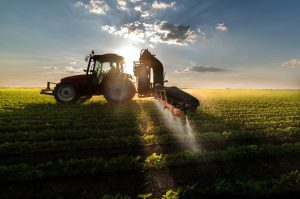 For cultivators and small farms, there are certain agricultural risks that need to be addressed in order to stabilize income: human resources, legal, production, financial and marketing risks. Different strategies and tools can be utilized to counter each of these risks. Risks pertaining to human resources are linked with people and relationships. The relationship can be of any kind. It can include family members, farm employees, and consumers. The main sources of risks related to human resources comes up due to any reason such as a death, divorce, or disability. Any of these proceedings can have a devastating impact on the small farm and its cultivators. Other human resource risks can involve harmful influences rising from poor communication and employee management skills. What strategies can be used to manage human resource risks? 2. Assess other sources of labor. Legal risks refer to accomplishing and achieving business contracts and agreements. If you are unable to meet these agreements, it will result in you paying a high cost for it. Another main foundation of legal risk relates to tort liability. Furthermore, legal risks are also linked to environmental concerns and liability related to pesticide use, water quality, and erosion. What strategies can be used to manage legal risks? 4. Comprehend business agreements and contracts. Wherever you feel the need, ask questions if unsure. Production risk relate to the likelihood that your output levels or yields will be lesser than projected. The chief causes of production risks rise from hostile weather conditions such as excessive rainfall, drought, or freeze at the time of harvesting or planting. What strategies can be used to manage production risks? 1. Track recommended production methods. Financial risks refer to not having enough cash in order to fulfill the expected obligations. You may be generating lower profits than expected or you might be losing your equity invested in the farm. Foundations of financial risk normally come from marketing and production risks. That’s why bookkeeping is encouraged so that farmers can easily keep their tabs on their financial position. What strategies can be used to manage financial risks? Marketing risks are related to the likelihood that you might lose your market for your production items. It can also be that you receive the price for less than expected. What strategies can be used to manage marketing risks?